If you’ve got a CBS All Access account or you just like to watch the free content on CBS and you’re outside the United States then you’ll be disappointed to see the service blocked. When you visit the CBS website it checks to see where you’re located and it does this by checking your IP Address. As you’re probably already aware there is a simple tool called a VPN that will allow you to disguise your location and appear somewhere else. 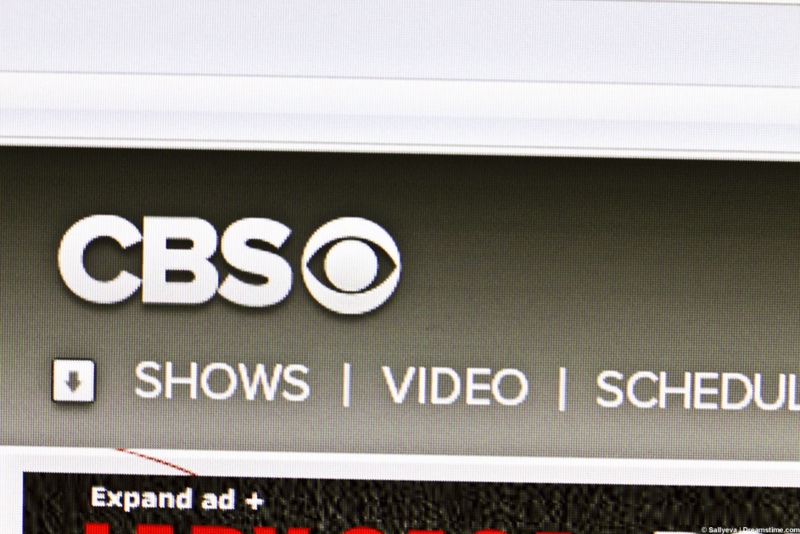 In the case of CBS you can appear as if you’re in the United States and rather than be blocked you’ll be able to stream all your favourite CBS shows abroad. Like many services CBS block some VPN providers so it’s difficult to know which providers are working with CBS and which aren’t. I’ve been testing some of the best VPN services out there to find out which are the best for CBS and will give you the best performance. Below you can find my results allowing you to enjoy CBS anywhere in the world. IPVanish is the Best VPN for CBS without question. When it comes to streaming video content then you need fast speeds otherwise you’ll be plagued by buffering and slow playback ruining your viewing enjoyment. IPVanish is one of the fastest VPN providers I’ve tested which is great news for CBS access because it means you can stream without issue. One of my favourite features that in my opinion make them ideal for CBS is the fact they have 11 different server locations across the US. This allows you to access good speeds from either the East or West of the US. Not only do they have a good selection of locations but they also have well over 175 United States based servers meaning you’ll never struggle to find a less utilised one which will also improve your streaming experience. From a price perspective, IPVanish is competitive to other options out there on the market but with them providing a better service than most you get more for your money. A monthly package will cost you $10 per month but can be as cheap as $6.49 if you take an annual service so it’s worth considering. ExpressVPN is another large VPN provider suitable for CBS. Just like IPVanish they have numerous locations throughout the US which is ideal. Over 15 different US locations are available so if you’re outside the US either to the East or West or even the North or South you’ll be able to find a location that is nearer to your location giving you the best streaming experience. The best feature of the ExpressVPN service is that they offer a massive 30-day money back guarantee. This will allow you to test the service for watching CBS overseas or other uses to find out if they’re suitable for your needs. If you’re unhappy with the service then you can easily cancel and get a refund. One of the downsides of the service is they’re slightly more expensive than IPVanish at $12.95 per month or $8.32 if you take a yearly service. As they’re very similar to IPVanish it doesn’t make much sense to pay more money. However they do have a greater number of worldwide servers in over 87 countries so if you have a need to access other locations or services then they may be worth considering. Overplay like the providers above is suitable for CBS to watch overseas. One of my favourite features is they’re quite fast. They’re about as fast as the IPVanish service but they don’t offer as many locations to connect to throughout the US and worldwide. Just like both providers above they have software for both Windows and Mac computer systems but unfortunately they don’t currently have any apps for Android or iOS like both IPVanish and ExpressVPN do. News is that they are in the works but as yet there is no timescale. In the US there are 11 different connection points which will all be suitable to stream CBS overseas and like the other providers if one server is a little full then you can quickly select another. There is no limited on how many times you can switch server or the amount of data you can transfer so you’re free to stream CBS and other services as much as you want. If you want to stream CBS abroad then VyprVPN also make a good choice. They’re not quite as fast as any of the providers above and they’re also one of the more expensive solutions which is why they only make my 4th spot. Negatives aside they offer a robust and reliable network which has a good selection of server locations across the US and throughout the world. If you’re in a country that heavily restricts the internet such as China and you want to access services like CBS then one of my favourite features of VyprVPN is their Chameleon protocol. This is a special mode that allows you to bypass restrictions in countries that block many foreign services. My main issue with VyprVPN is their cheapest package isn’t very good for security. While it will be suitable for streaming CBS if you want to also protect your internet connection which after all is what VPN services are designed for then you’ll need to opt for their higher tier package. StrongVPN rounds up my selection of VPN providers suitable for use for CBS. StrongVPN is a little smaller in terms of locations available to connect to but they do offer an alternative to the other providers and may offer some features you find more suitable for your needs. I found StrongVPN a little more difficult to use than some of the earlier options purely because they’re software is a little less user friendly. If you’re a new user then you may want to stick with IPVanish as it’s an overall more pleasant experience. However one of the biggest advantages of StrongVPN is the price of their service. When taking a monthly package they’re $10 per month matching the other services but if you opt to sign-up for a year then the service is as low as $5.83 per month. For an overall all rounded provider and a decent price my recommendation for the best VPN for CBS is IPVanish because without a doubt, they offer one of the best services. If you want a buffering free experience then the speed of their network will be most advantageous and give you the best possible streaming experience while overseas. If IPVanish doesn’t take your fancy then the other 4 providers also make good options and through my tests they all work fine with CBS. There isn’t a huge amount of difference between all five but perhaps something small like the availability of payment options or some other factor may sway your purchasing decision. To recap on the available best VPN for CBS options take a look again at the table below.